All these rings are intended to be hand engraved with your monogram. This can be done either from your own artwork or any style shown below. 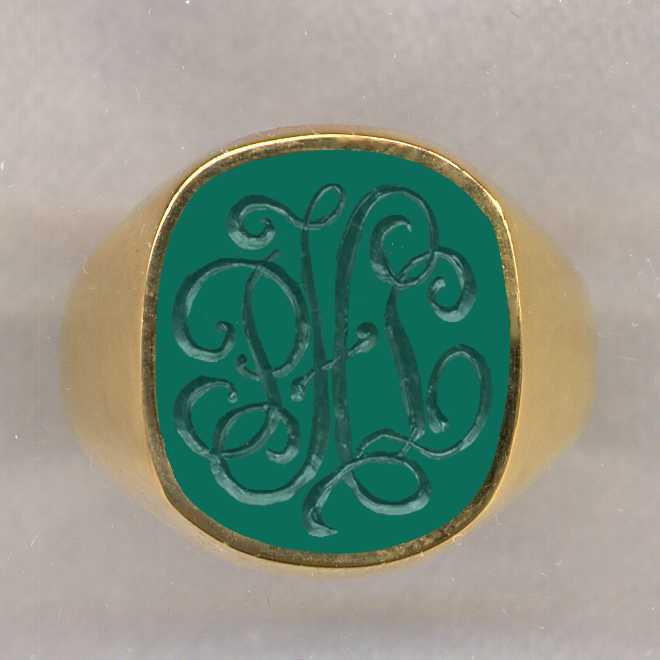 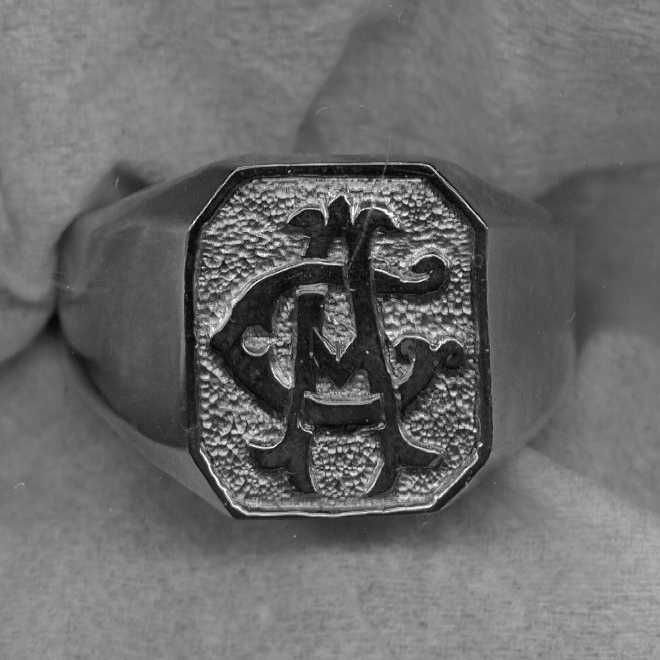 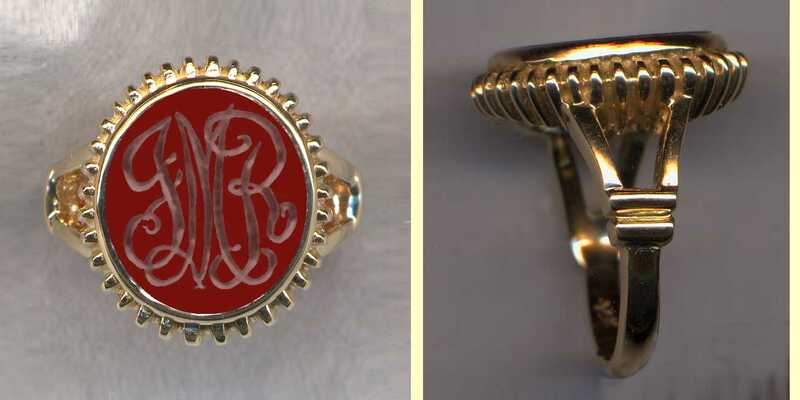 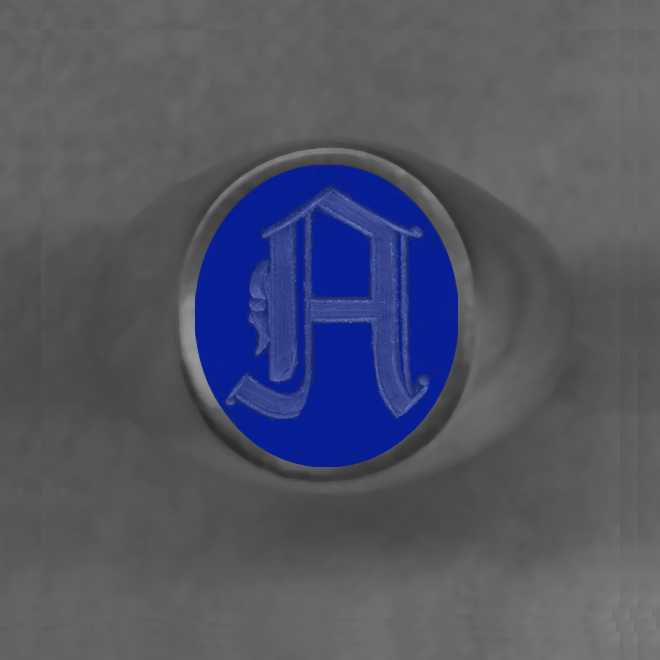 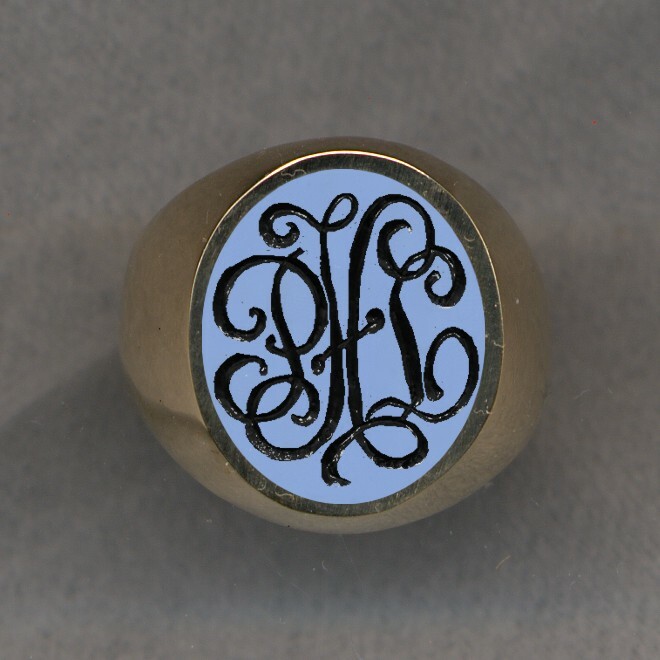 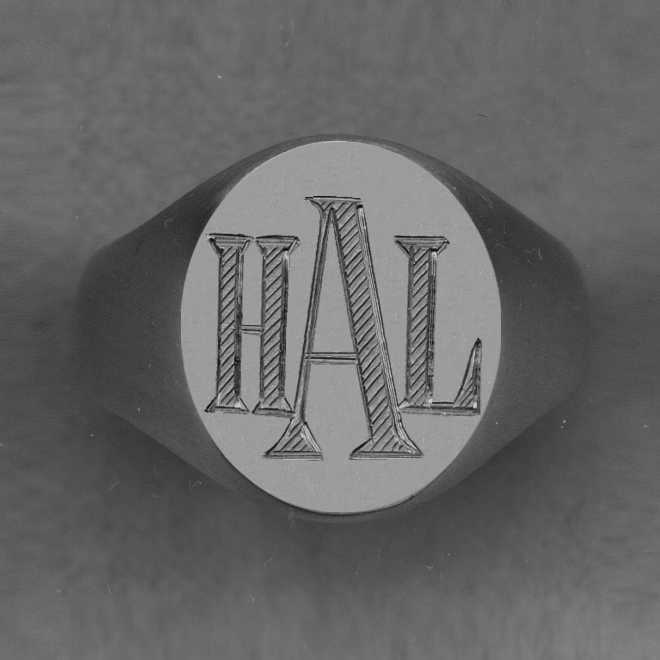 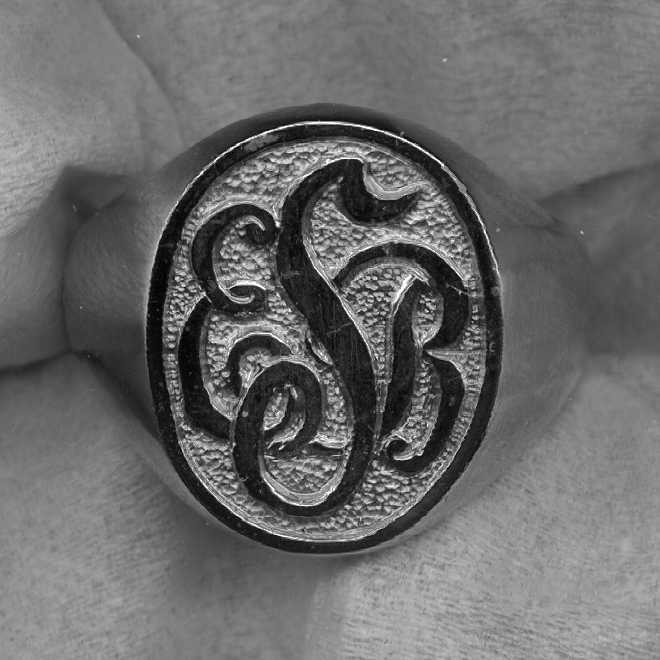 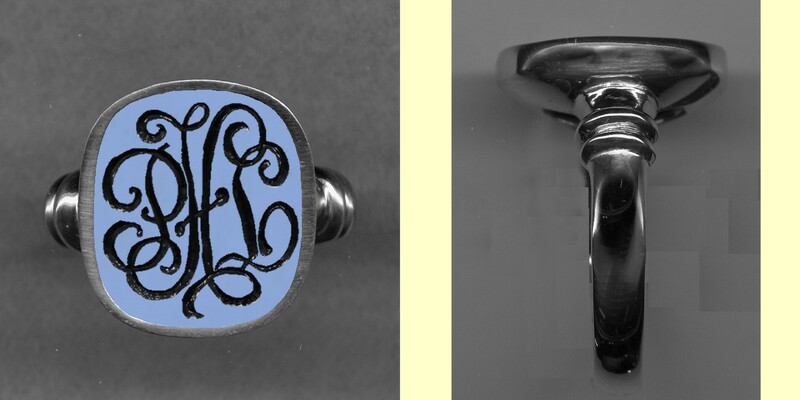 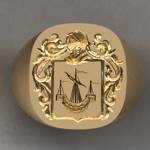 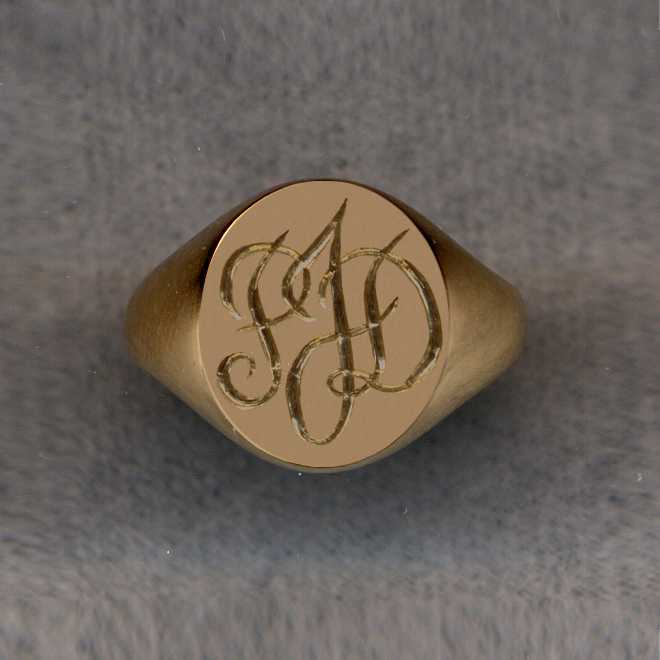 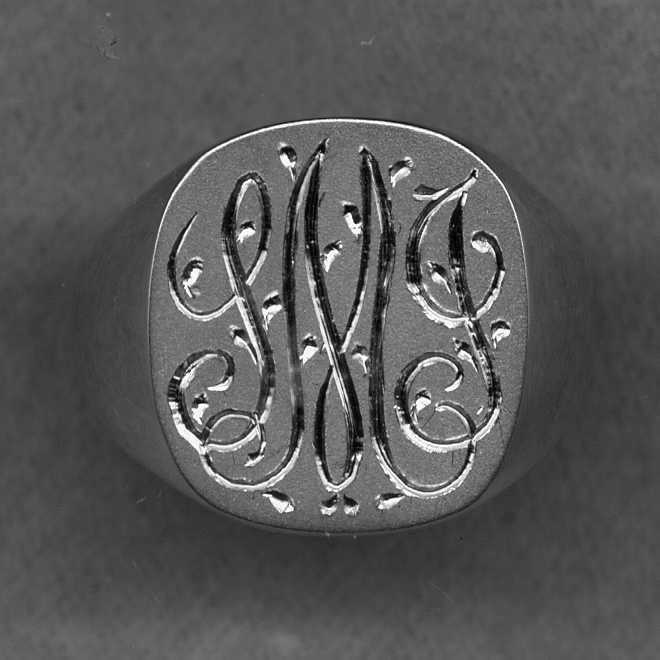 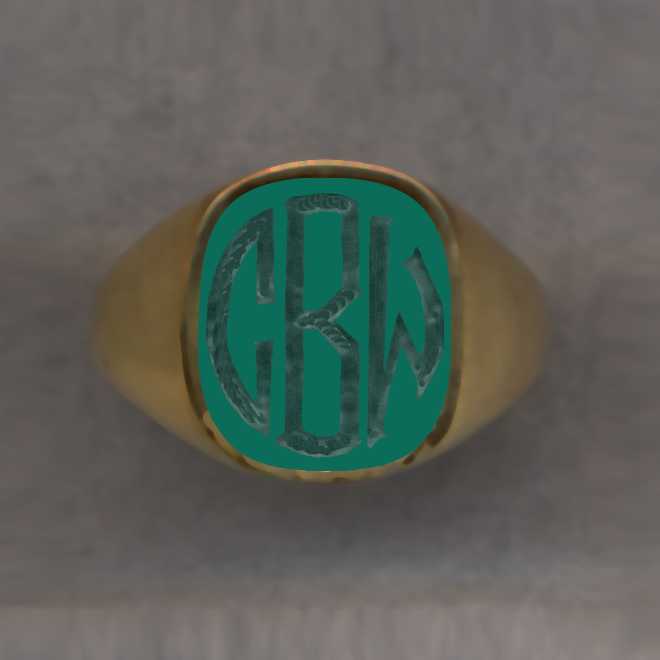 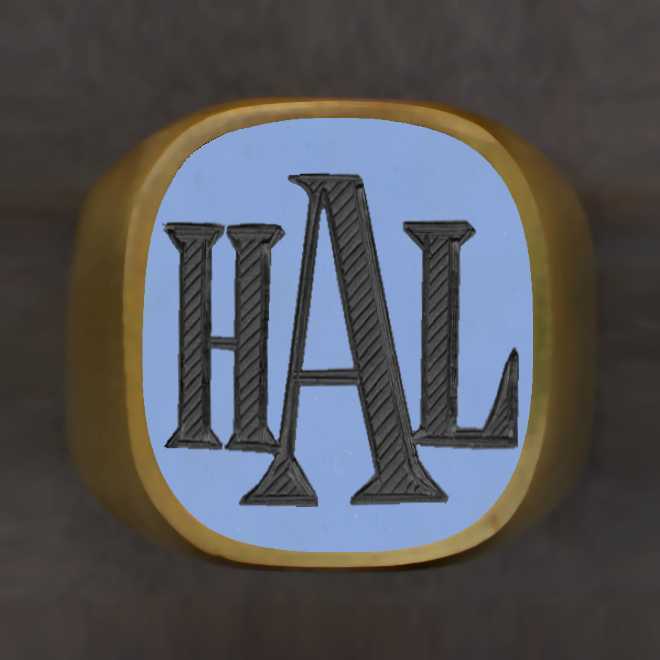 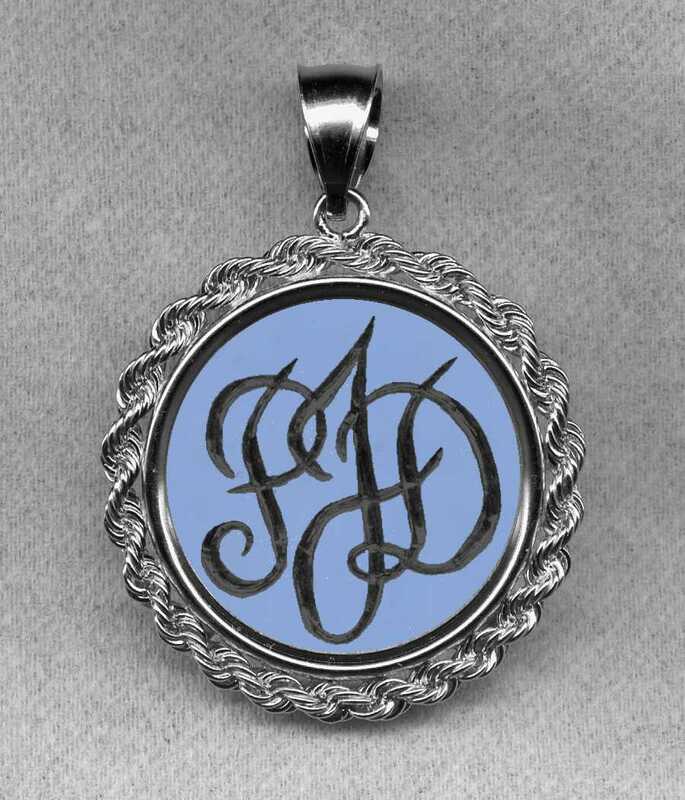 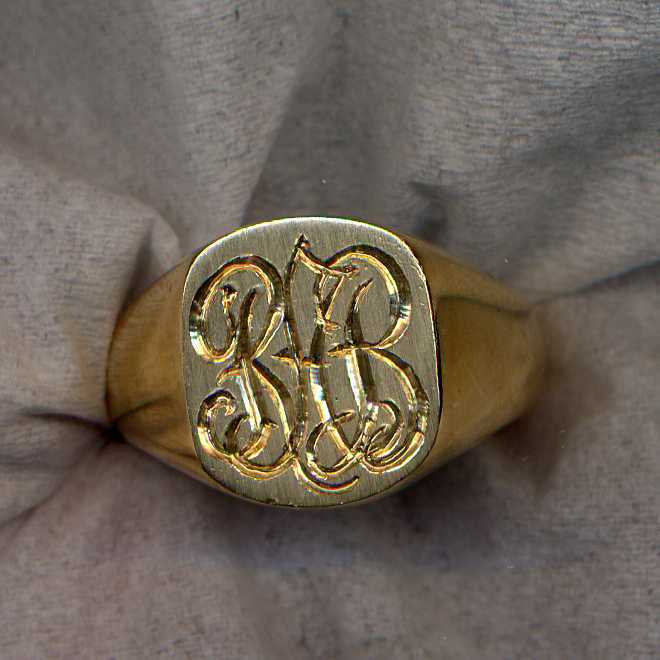 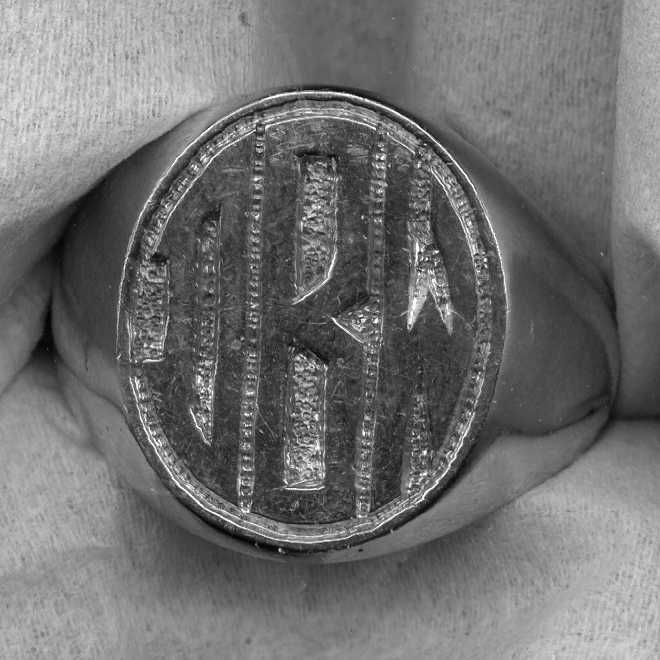 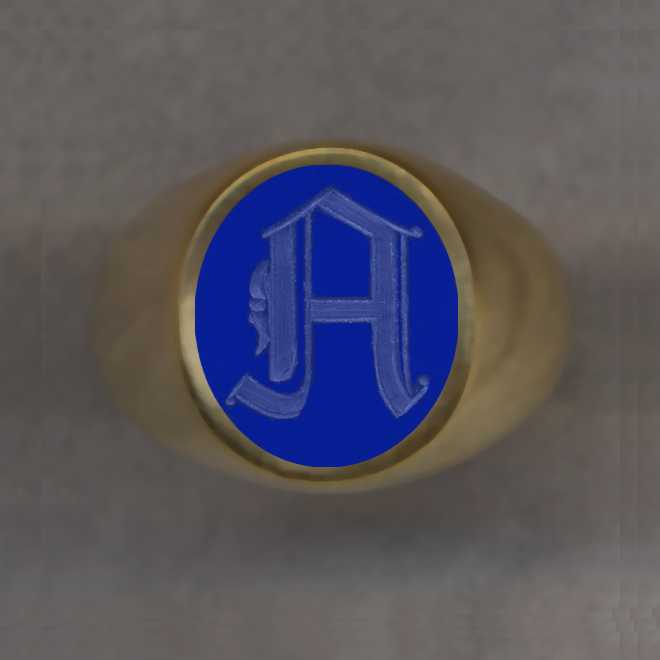 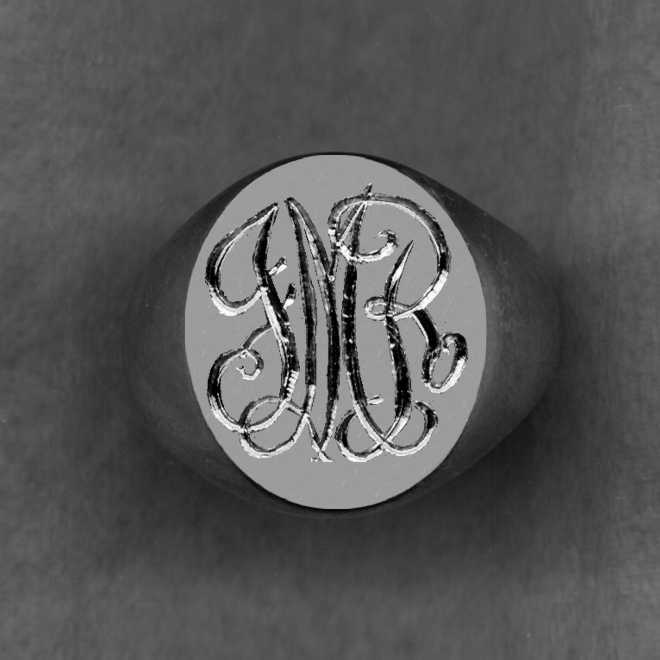 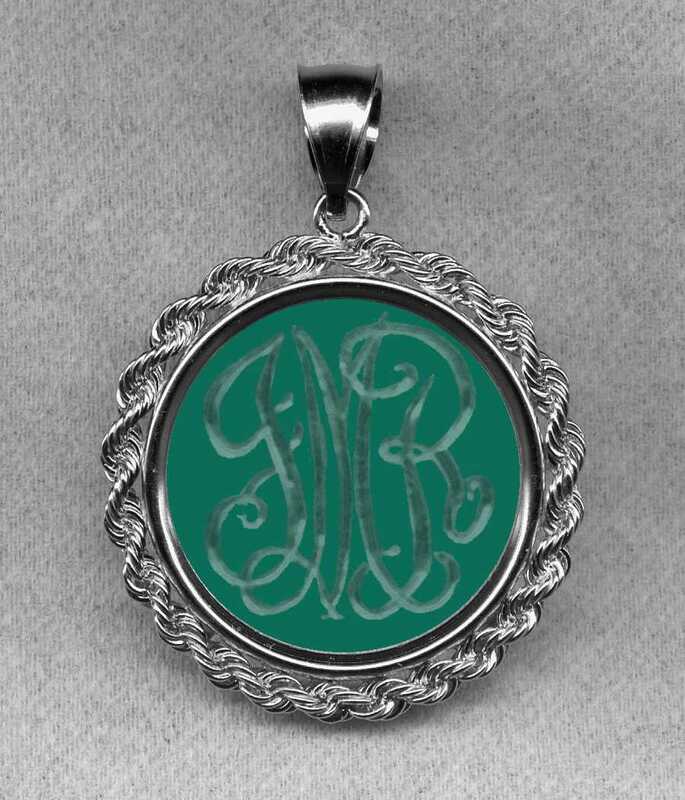 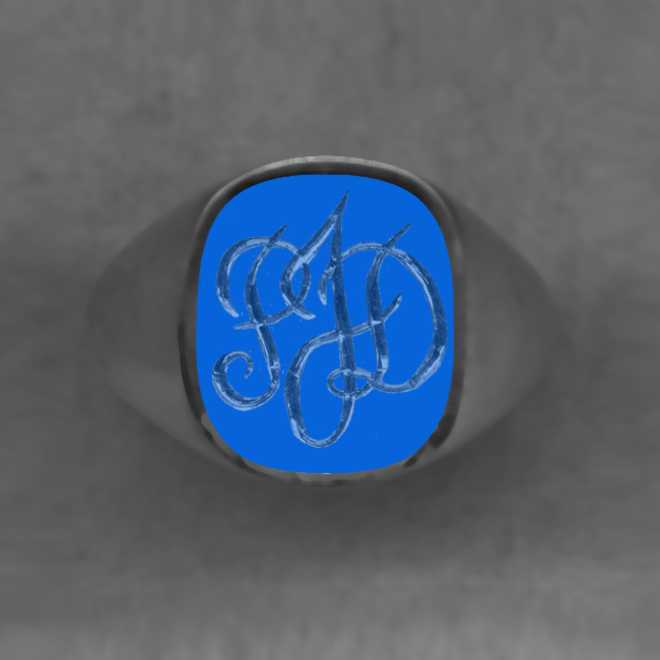 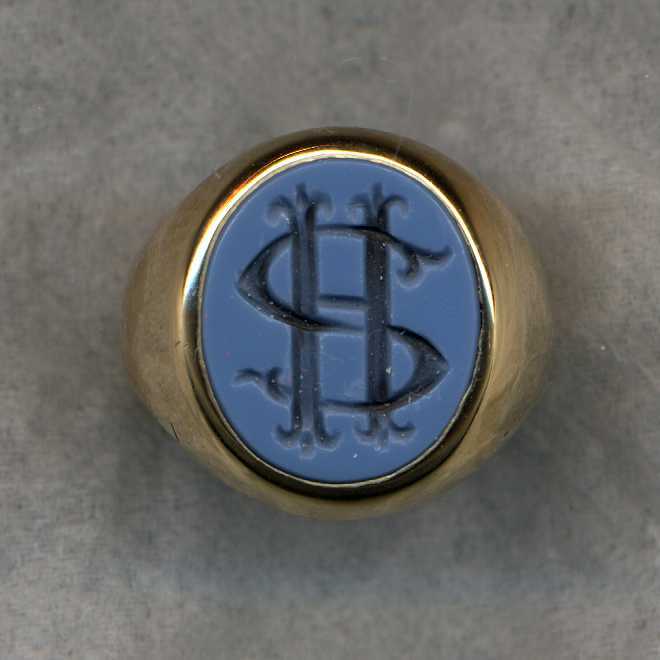 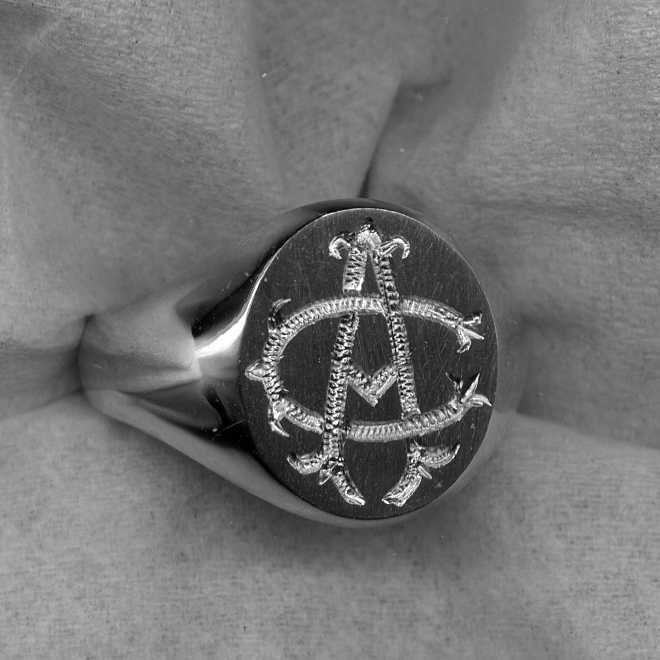 We will be happy to show what your monogram would look like on any ring of your choice. Just choose a model, specify gold or silver and if a stone ring, the kind of stone you would like. Ring #2 16x14mm stone - shown with bicolor agate. Ring #6B 20x17mm stone - shown with carnelian. 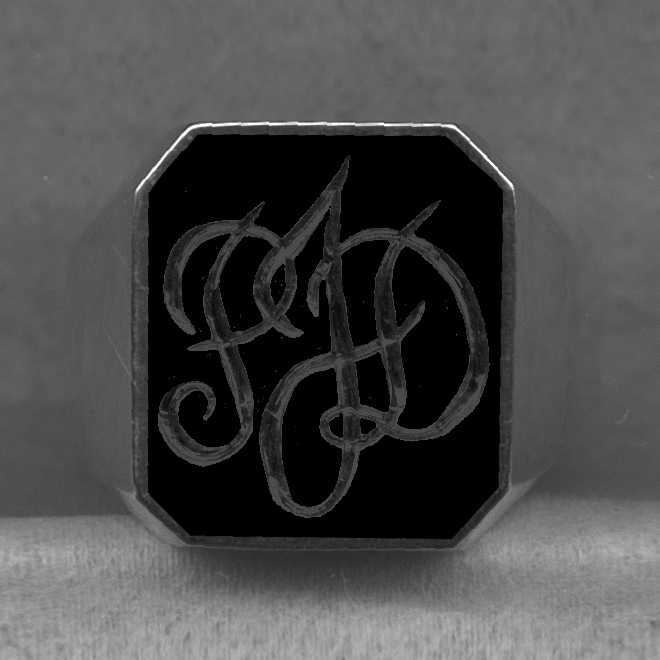 Ring #9 16x14mm stone - shown with black onyx. 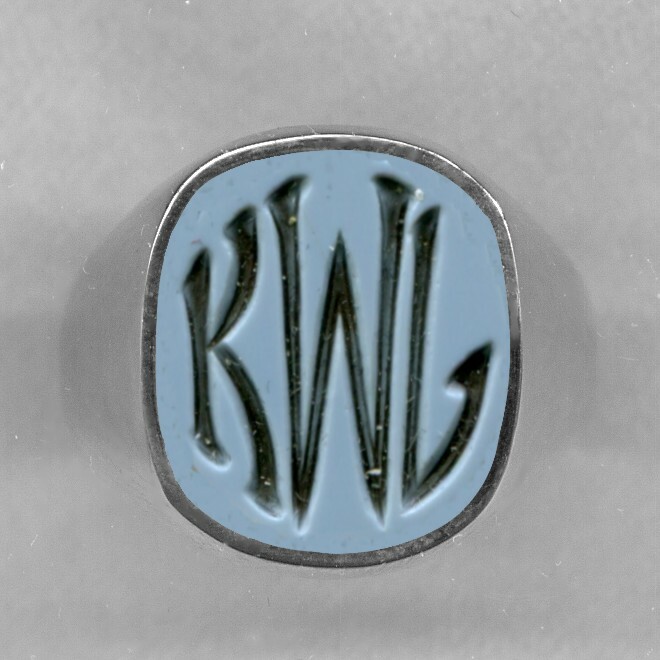 Ring #2L 20x16mm stone - shown with bicolor agate. Ring #2 16x14mm stone - shown with green onyx. 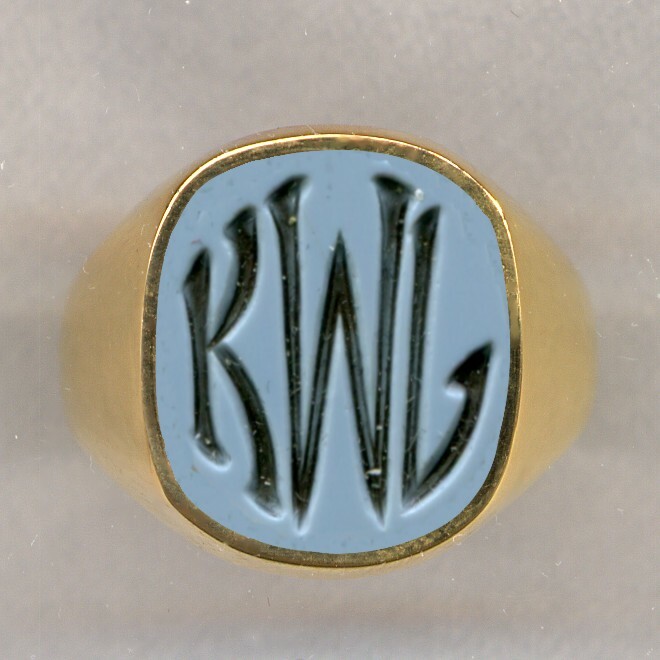 Ring #7 12x10mm stone - shown with blue onyx. 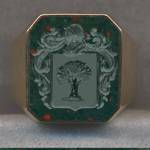 Ring #7 12x10mm stone - shown with green onyx. 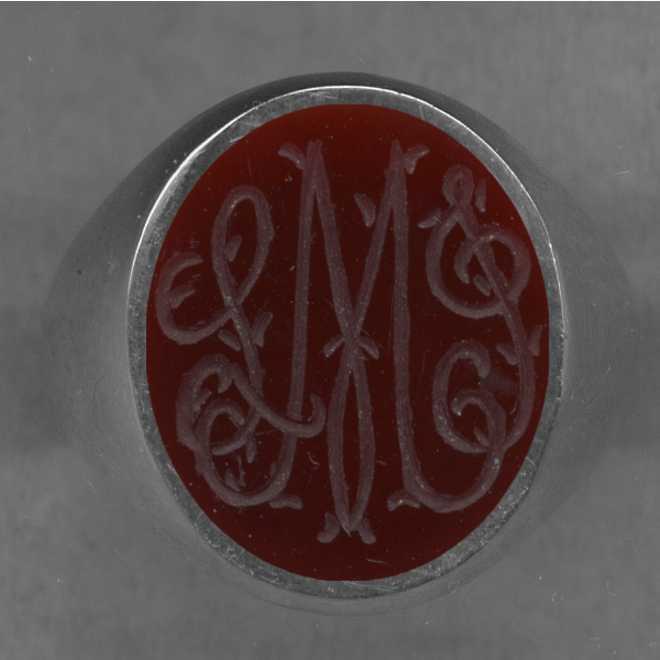 Ring #5 14x12mm stone - shown with bicolor agate. 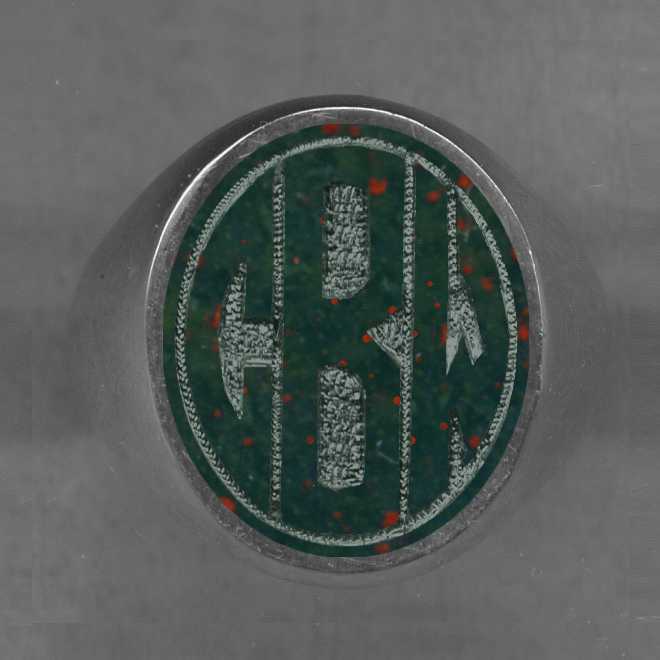 Ring #210C 16x14mm stone - shown with bicolor agate. 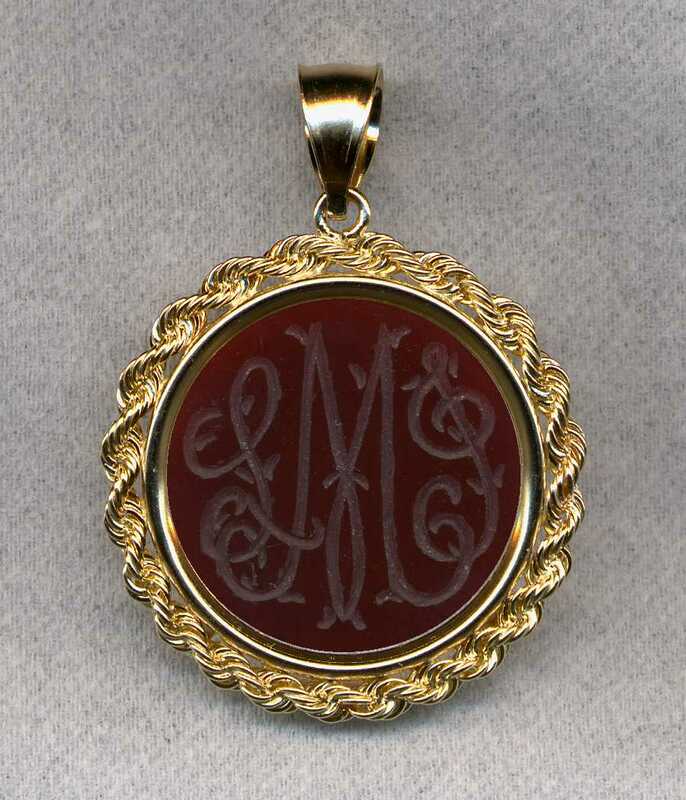 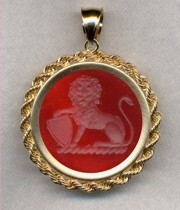 Pendant #722 22mm stone; overall size is 27mm - shown with carnelian. 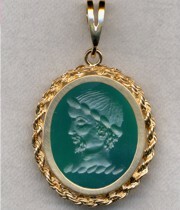 Pendant #722 22mm stone; overall size is 27mm - shown with green onyx.